Home/dry mix mortar/The formula and process of the new gypsum mortar, it is recommended to collect! As we all know, the use of mortar insulation material in construction can improve the thermal insulation performance of external wall insulation layer, reduce indoor heat loss, and avoid the phenomenon of unequal heating among users, so it has been widely used in construction. Moreover, the cost of this material is relatively low, which saves the cost of the project and has high heat insulation and moisture resistance. The most important component of mortar is vitrified beads, which are commonly used insulation materials in modern building construction and have good thermal insulation performance. It is mainly made of acidic glass material and processed by high technology. From the surface of mortar, the particle distribution of the material is irregular, as if there are many holes in the cavity. However, in the construction process, the quality of this material is actually very smooth, and the closure of the wall is good, the material is very light, heat insulation is also very good, with high-temperature resistance, wear resistance characteristics. Generally speaking, the thermal conductivity of vitrified microspheres is a prominent feature, especially its surface thermal conductivity is the strongest, and its heat resistance is also very high. Therefore, in the use of vitrified microspheres, the construction personnel should control the distance and area between the particles, in order to achieve thermal insulation and thermal insulation function of thermal insulation materials. 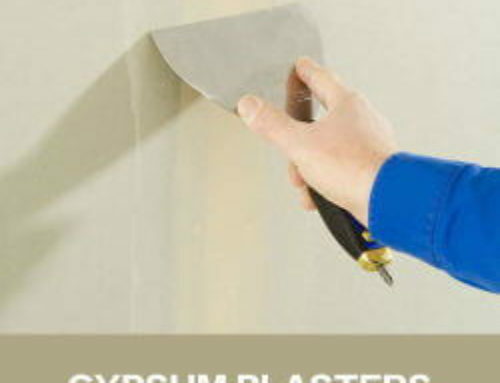 Chemical gypsum is another important component of mortar. It can also be called industrial reclaimed gypsum. It is mainly composed of calcium sulfate residue. Therefore, its production is very convenient. It can realize the effective utilization of resources and save energy. With the development of the economy, many factories discharge some industrial garbage and pollutants every day, such as phosphogypsum and another desulfurization gypsum. Once these wastes enter the atmosphere, they will cause air pollution and affect people’s health. Therefore, chemical gypsum can be said to be renewable energy, but also to achieve the use of waste. According to the statistics of various kinds of pollution, phosphogypsum is a highly polluting substance. If the factory does not discharge phosphogypsum once, it will pollute the surrounding environment, but this substance can become the main component of chemical gypsum. Through screening and dehydration of phosphogypsum, scientists have completed the process of turning waste into treasure and formed chemical gypsum. Desulfurization gypsum can also be used as flue gas desulfurization gypsum. It forms industrial products through desulfurization purification treatment. Its composition is basically the same as that of natural gypsum. The free water content of desulfurized gypsum is generally higher than that of natural gypsum. It has stronger cohesiveness and is prone to many problems in the whole production process. 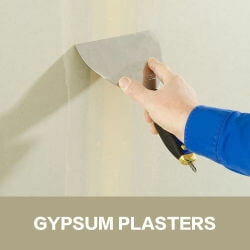 Therefore, the production process of building gypsum cannot be the same as that of natural gypsum. Special drying process should be adopted to reduce its water content. Through screening, it is formed by calcination at a certain temperature. Only in this way can it meet the national certification standards and meet the requirements of thermal insulation construction. Chemical gypsum insulation mortar must be prepared with building chemical gypsum as the main manufacturing material. Glassed beads are usually made of light aggregate. Researchers have changed their properties by additives to meet the needs of construction projects. When preparing thermal insulation mortar, construction personnel should pay attention to the characteristics of building chemical gypsum such as viscous degree and a large amount of water, and select additives scientifically and reasonably. For the construction requirements of gypsum products, the operation time is an important indicator of its performance, and the main measure to extend the operation time is to add a retarder. Commonly used gypsum retarders are alkaline phosphates, citrates, tartrates, etc. Although these retarders have a good retarding effect, they also affect the late strength of gypsum products. The retarder used in chemical gypsum thermal insulation mortar is a composite retarder, which can effectively reduce the solubility of hemihydrate gypsum, slow down the rate of crystal germ formation, slow down the crystallization process, and have an obvious retarding effect and no loss of strength. In order to improve the workability of the mortar and improve the water retention, fluidity and sag resistance, it is usually necessary to add a cellulose ether. 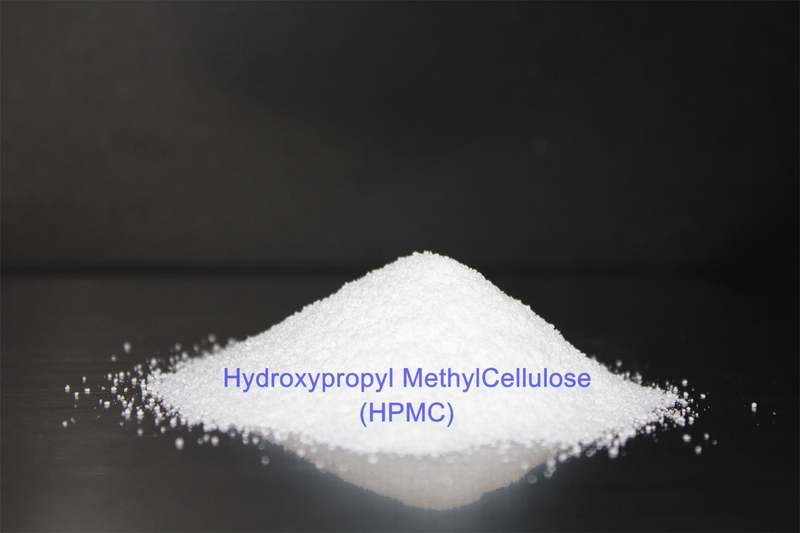 The use of methyl hydroxyethyl cellulose ether can better play the role of water retention and thickening, especially in summer construction. In order to improve the cohesion, flexibility, and adhesion to the substrate, a dispersible polymer powder should be used as an admixture. The dispersible polymer powder is a powdery thermoplastic resin obtained by spray drying and subsequent treatment of a polymer emulsion. The polymer in the mortar mixture is in a continuous phase, which can effectively inhibit or delay the generation and development of cracks. Generally, the bonding strength of the mortar is achieved by the mechanical occlusion principle, that is, gradually solidified in the voids of the base material; the bonding of the polymer is more dependent on the adsorption and diffusion of macromolecules on the bonding surface, and the methyl group. 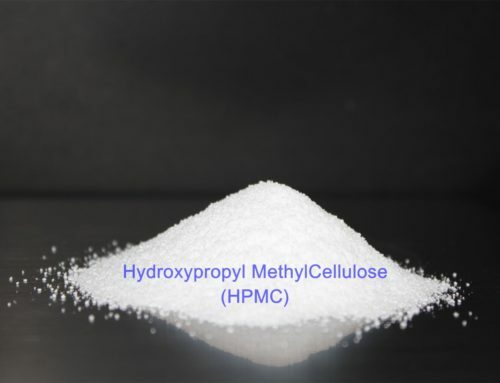 The hydroxyethyl cellulose ether acts together to wet the surface of the base layer so that the surface of the base material and the surface performance of the mortar are close to each other, thereby improving the adsorption therebetween and the bonding performance is remarkably improved. Lignin fiber is a natural material that absorbs water but does not dissolve in water. Its function is its own flexibility and the three-dimensional network structure formed by mixing with other materials, which can effectively reduce the drying shrinkage of the mortar during the drying process of the mortar, thereby improving the crack resistance of the mortar. In addition, the three-dimensional structure can lock 2-6 times of its own weight in the middle, which has a certain water retention effect; at the same time, it has good thixotropic properties, and the structure will change when external force is applied (such as scraping and stirring). And arranged in the direction of movement, the water is released, the viscosity is lowered, and the workability is improved, which can improve the construction performance. Tests have shown that lignin fibers are short and medium in length. The use of heavy calcium carbonate (heavy calcium) can change the workability of the mortar and reduce costs. The mortar mix ratio is binder: vitrified beads = 2:l-1.1. 1) Clean the base wall. 3) Hang vertical, sleeve, and mortar plaster thickness control lines. 4) Apply the interface agent. 5) Make gray cakes and ribs. 6) Wipe chemical gypsum vitrified microbead insulation mortar. 7) Check and accept the temperature layer. 8) Gypsum plaster anti-cracking mortar, while pressing into the alkali-resistant glass fiber mesh cloth. 9) After acceptance, the plastering layer is plastered. 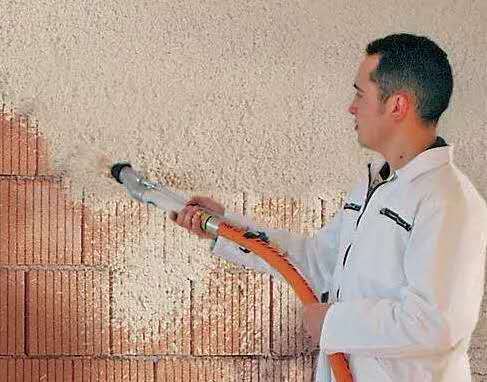 Thermal insulation mortar is one of the most important thermal insulation materials in building engineering. It has good thermal insulation and thermal insulation. It can reduce the investment cost of building engineering and realize energy saving and environmental protection in building engineering.